It might an attractive idea for people who own a house in France to make some extra cash fairly easily by renting some of their premises as “chambres d’hôtes“, the French equivalent of the English bed and breakfast. Different to a gite business in France as typically the gite activity would be outside of the owners home and without breakfast. Here is a really great example of a classic chambres d’hote in the Charente, which is for sale at a competitive price of €249,950. For a long time, there has been no specific legal framework for that activity but this omission has now been rectified, thanks to the law no. 2006-437 of 14 April 2006 implemented by a decree no. 2207-1173 of 3 August 2007. The law defines the chambre d’hôte as a furnished room inside someone’s house used to welcome tourists for a monetary consideration, for one or more nights and accompanied with services. The first step to be taken is to make a declaration at the local Mairie (Town Hall) either by registered post with acknowledgment of receipt or in person or even electronically (acknowledgment of receipt requested), prior to starting the activity. Failure to do so is punished by a 450 euros fine. The declaration must state the identity of the owner(s), his personal address, the number of rooms available for rental, the maximum number of guests capacity and the rental periods. 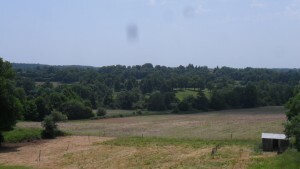 Not all premises can qualify as a chambre d’hôte and in the vast majority of cases, they must be located in a rural area with some tourist activity nearby. They may also be in an urban area, provided that they are in or nearby tourist or historical areas of the town. In rural areas there has to be a garden and in urban areas a terrace for the premises to qualify. The rooms must include a bed and standard furniture such as a wardrobe, drawers, night table etc. The walls and floor must have thermal and acoustic installation. Access to a toilet and bathroom is necessary and the habitation as a whole must be in a good state of hygiene and cleanliness. Generally speaking, the premises must be compliant with regulations regarding hygiene and safety. The bed linen as well as toiletries and breakfast must be supplied by the owner. Main meals may be provided under certain conditions. The size of the premises rented as chambre d’hôte is limited to five rooms for a maximum capacity of 15 people. Each room must have a minimum size of 9 m² (excluding WC), although in practice, the de facto minimum size is 12 m², and a minimum ceiling height of 2.20 m.
In practice, the average duration of rental is about 14 weeks per year, with stays of an average 3 days. Financial subsidy may be available in order to finance the cost of works for improvements and fittings of the premises or renovation of the premises, as well as works intended to improve accessibility by handicapped people. Such subsidies vary depending on the area and may be available at the departmental level (“Conseil Général”) at the level of the region or even at the European level. It is best to enquire at your local Mairie. One of the advantages of running a chambre d’hôte business is that it is relatively bureaucracy free and the owner is not submitted to any particular professional status. 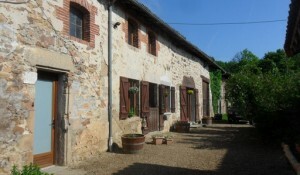 However, the activity of renting chambre d’hôtes could acquire a commercial nature if it is accompanied by the supply of services that would normally be supplied by a hotel or similar, such as the supply of breakfast not included in the price for the room, room service etc and/or leisure activities, such as the rental of bicycles etc. In that case, it would become necessary to register with the “Registre du Commerce et des Sociétés” (RCS) and the “Centre de Formalités des Entreprises” (“CFE”) at the Chambre de Commerce, but only if such activity is exercised in a requisite manner with a view to make profits, but not if it is occasional or exceptional. The declaration of the activity is mandatory irrespective of the level of income derived from it and not doing so would amount to undeclared work. The deliberate supply of false information is a criminal offence. If the activity is carried out throughout the year, it is best to enquire with the local tax office (‘Centre des Impots’) as to whether the activity would fall under the status of “loueur en meublé”. It should also be noted that in order to be able to offer drinks at breakfast, it is necessary to have the “small restaurant licence” which enables one to supply drinks to be consumed on the premises together with a meal. This licence is granted by the local customs office (“Douanes”). This licence may under certain conditions be extended to the second group of drinks including wine, beer, cider and low degree alcohols. The owner of the chambre d’hôte should also inform his insurer of this new activity and appropriate cover will often be arranged at no additional premium. However, should the number of rooms exceed five, then the premises will need to comply with safety regulations and accessibility regulations regarding premises receiving members of the public. An owner may run his business either by himself or through an advertising network. The running is left to his discretion if he acts on his own, and the network will usually carry out the commercialisation if the owner is a member thereof. The owner will need to post signs on roads and in nearby villages; signposts can be purchased from the “Direction Départementale de l’Equipement” (“DDE”). All prices need to be posted outside the building as well as inside at the reception, and in each bedroom. An invoice must be given to each customer for any service billed over 15.24€, or at the client’s request for any lesser amount. Each invoice must be printed in duplicate and the original given to the customer. It should specify the date, the name and address of the owner, the name of the client (unless he refuses), the date and place of the supply of the service and the breakdown of the number of nights and the price of each service supplied and finally the total amount to be paid. Any breach of rules regarding consumer information may be punishable by a fine of 1,500€. Non-French customers (including nationals of countries within the EU other than France) must fill in a “fiche de police” listing the full name of the customer, his date and place of birth, his nationality and his address abroad. This fiche must be handed to the police on a daily basis by the owner. A standard document exists and may be obtained from the local “Préfecture”. The prices are set freely by the owner but are often between 25€ and 70€ per room per night. The local authority of the town (“Commune”) where the chambre d’hôte or gite is may request a “taxe de séjour” on the customers and in that case this has to be collected by the owner from the customer and paid to the town by him. You need to enquire with your local Mairie. These will of course apply to the income generated by the activity. The owner will need to pay inhabitation tax (‘taxe d’habitation’) if the rental accommodation is/are part of the owner’s habitation, otherwise the ‘taxe professionnelle’ will apply. There is also an annual contribution of 2.5% of the net annual annual income, which does not apply to income under a certain amount per rented room. Income tax applies for income over 760€ per year (except for “micro-entreprise”) and usually falls into the category of industry and commercial profits (“BIC”). It is possible to opt for the regime of “micro entreprise” if the turnover is less than 76,300€ before tax for the rental income and 27,000€ before tax for services (breakfast, cleaning etc). This allows for a tax reduction of 72% of the rental income tax and 52% of the income tax from services. It may be necessary to register for TVA if the conditions for exemption are not met. If the rooms are equipped with TVs, the “contribution à l’audiovisuel public” applies (varies depending on the number of TVs). The owner must register with the social security under the regime of “Travailleur Non Salarié” (“TNS”; non-salaried worker) with respect to health, maternity, retirement, invalidity and death, usually with the “Régime Social des Indépendants” (“RSI”) if the income derived from the activity exceeds 5,020 euros. If the income is less, registration is not mandatory but the income is subject to the “contribution sociale sur les revenus du patrimoine” (“social contribution on the income from assets”) at the global rate of 15.5%. Farmers need to register with the Mutualité Sociale Agricole (“MSA”) rather than with the MSI. It is strongly recommended to use a French accountant for tax and social security matters. Finally, if the premises do not need any upgrading and are ready for the activity to start, you may be promptly be listed by the Gites de France Association by accepting their charter. You may also seek legal advice for any questions pertaining to legal aspects of this activity including the drafting of general conditions of trade and, of course, the purchase of the property itself. French Art: Interesting Facts About France Art Petanque Facts: A Load of Boules?